There comes a time when we all need to take a chance; maybe change things up. Last week, I did just that. I really don’t know where it came from but I do know it was the right decision for me and it was a hard decision to make. I moved on from New Orleans. I guess you could say, I broke up with the last little piece I thought was holding me there [with the exception of our adopted family, the Kirklands – you’re stuck with us!]. It’s funny because in a way I never thought I would but I’ve come to see the bigger picture and to want more when it comes to Dustin and I’s chosen hobby of triathlon. I’ve had several friends support me with all the crazy ventures I’ve done over the years; from moving to Texas [twice], to going back for my Master’s degree in a non-traditional fashion, to just being there when no one knew what the outcome might bring and I am thankful for them! You know they have your back when they’re giving you feedback and saying “I hope you get this”. Me too friend, me too! I decided a few weeks ago, as spontaneous as Ironman 70.3 Texas was, that I’m moving on. I’ve taken on a second job to buy my new little dream bike. I’m putting in training hours I didn’t expect I would be this off season. I’m sending in team applications because at the end of the day, who knows what will happen? 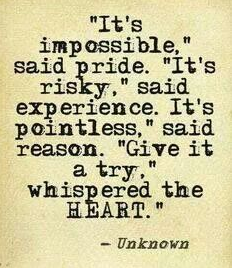 But I do owe it to myself to take that risk, to be scared of rejection and push through, and to say it is POSSIBLE! I’m seeing myself in a happier version of me and I couldn’t be more excited about it! What changes are you making this off season to be a better you? !